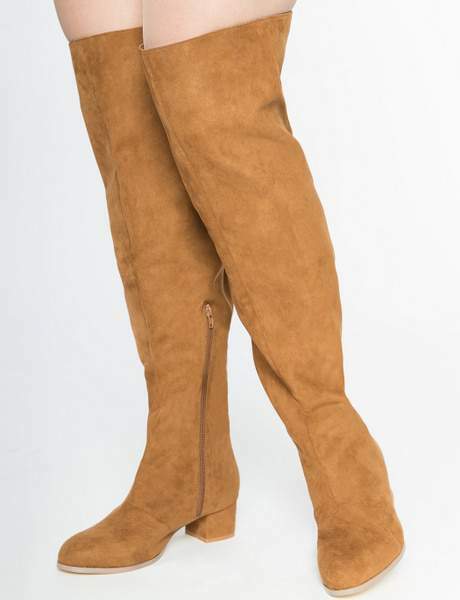 Here are 13 Must Have Wide Calf Knee High & Higher Boots! 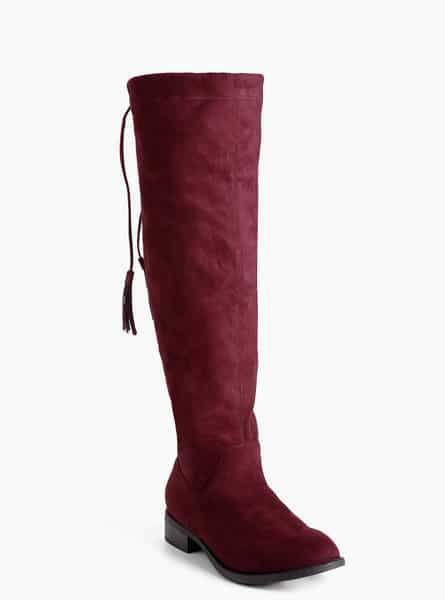 Looking for a fun and playful over the knee wide calf boot for fall? Check out these 13 picks just for you! 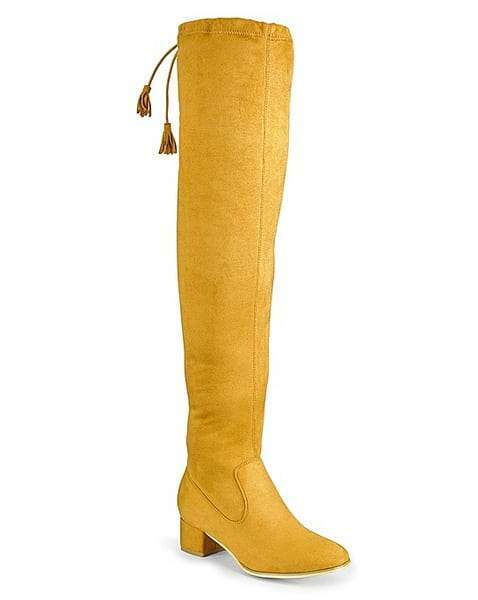 Girl, I looooove a great boot. Even better? 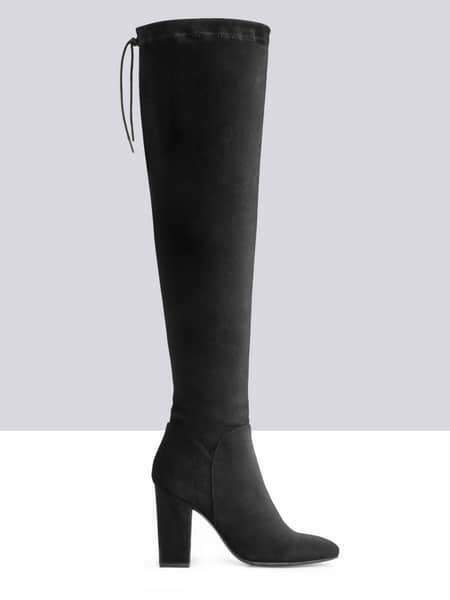 I loooove a great wide calf boot that goes all the way up the leg and creeps into thigh area! Paired with chunky knits, sweater dresses, or denim, I am all the way here for the progression of wide calf boots and its availability! I mean, some of our favorite plus size brands have stepped up their shoe game, giving us fashion forward options to play in for the fall! NO MATTER your budget! 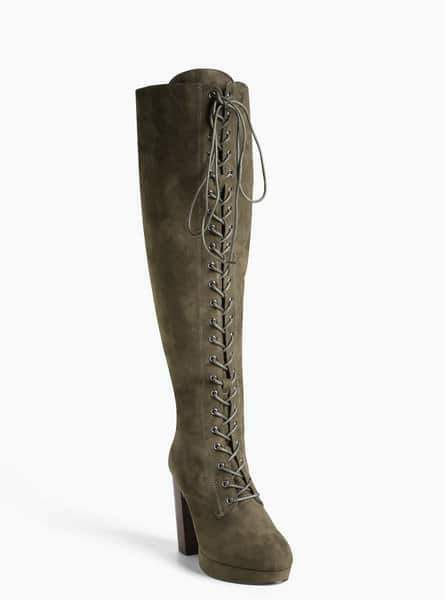 So, what I have done is rounded up for you, some of the flyest and coolest boots for fall that need to be on your radar! If you do not get them now, they will be gone when you need them, so moooove fast! Different colors, different fabrications (both faux and real leather), different levels of quality! Basically, YOU HAVE OPTIONS. Gone are those days where you would scour the internets for a questionable site, that could mayyybe have your size? I did that… hehehe only to be disappointed. *deep sigh* Any who, I got over 13 styles for fall for you to peek at! You ready? Yes, just like you measure yourself for your bras? Measure your calves. Sit down and measure the fullest part of your calf! This will give you the circumference that will guide you when shopping! 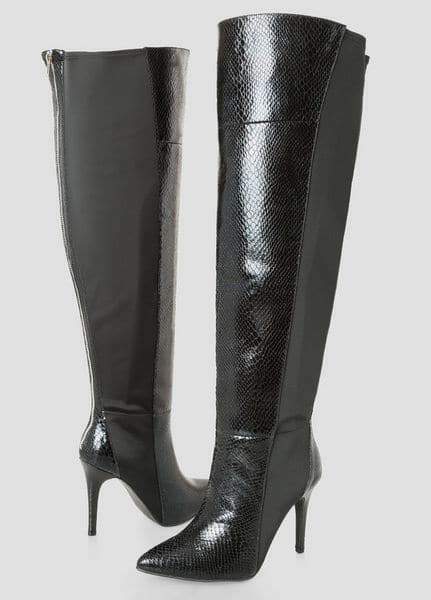 I cannot tell you how many times that I have heard someone talk about how they can never find boots that fit, but they have never measured their calves! So, when you get a second, break out the tape measurer, and go to town! What did you think of my picks? It was reeeeeally hard, narrowing it down. But 13 seemed like a great number… yes? Have you already gotten your boots for fall? How many pairs do you have? Me? I am embarrassed to share! But over 10! Obviously, I am ready. What about you? 7 Plus Size Fashion Reasons To Shop Zappos For More Than Just Shoes! 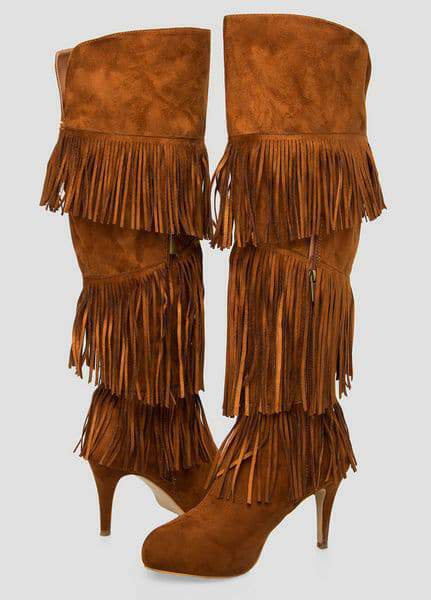 Love the fringe boots. Fringe everything! are’t they sooo much fun? Haley Ragsdale weren’t you just asking about this? I have a range love! From 50 and up! Tammy you need those yellow ones. Widewidths.com is really really great!!!! The ones I want are out of stock in my size! ð­ð­ð­story of my life. The pop ups are unbearable, and none of the boots I was able to see were pictured as a wide calf…they were all a 12″ shaft by the look of them. They may offer them, but you can’t see what they really look like. Great selection!! I will be ordering from Simply Be asap. Do you know your calf measurements? I do… but I have lipedema and I’m even at the very top of the Widewiths.com super extra ultra wide. : I’m like 26 Inches. if I come across any, I will let you know! 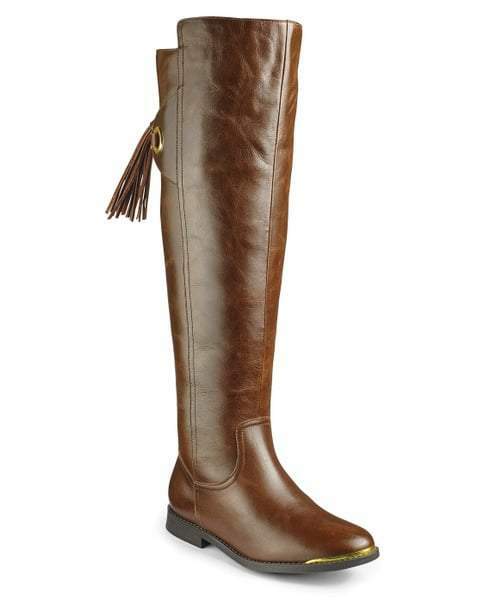 I may have to get the riding boot. I can’t do the suede. I live in Portland and suede cannot last here. ohhhhh because of the rain? Yes! It’s such a bummer. Everything gets wet. I missed out on these boots last year. Im all the way here for Lane Bryant and Ashley Stewarts boots this year! I did. Then my order was cancelled because they’re out of stock. I’ve been stalking the page ever since!